This book will be released on May 18, 2018. Have a hardcover copy shipped to you as soon as it is available. Pre-Order your copy now. This book was released on June 06, 2017. 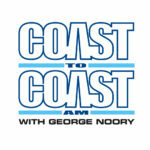 Robert Gleason appears on "Coast to Coast AM with George Noory", the country's #1 nighttime radio show. 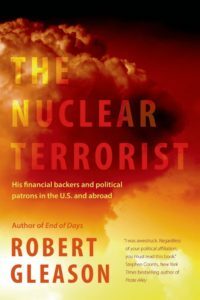 On Prophets of Doom, Gleason observes: "nuclear terrorism ... is the reductio ad absurdum of warfare." “Run, Gleason, run. The witness protection program cannot save you. You have speared too many of the powerful and the pretentious with your wicked wit and implacable need to tell the truth. Trump and Putin will be especially furious. Those two will hunt you down like a dog. Guantanamo will be a Club Med or Sandals Luxury Resort Vacation compared to their untender mercies and maniacal ministrations. So adios, it was fun knowing you. Also thanks for living long enough to give us a nerve-fraying, throat-clutching, keep-you-up-all-night thriller, a work of fiction forged in hell! “Bombs away! Look out below! Pull up your boot straps! And run for cover! Bob Gleason offends . . . everyone. He might even offend you too, but he’ll entertaining the hell out of you at the same time, because this book is a rare thing: A blood curdling thriller, too, written with a kind of headlong verbal velocity that makes it impossible to put down. Read it. Tonight. But remember, ANY resemblance to actual persons, living or dead, is purely coincidental. The Evil that Men Do is brilliant—as topical as the president’s next twitter rant or press release. If Trump and Putin don’t murder Gleason within weeks of publication, it will be a miracle. This book impales and offends everyone with equal opportunity and laser-like accuracy. It's fascinating how over-the-top absurdity strikes far too close to reality. Read it and see how many characters you recognize." 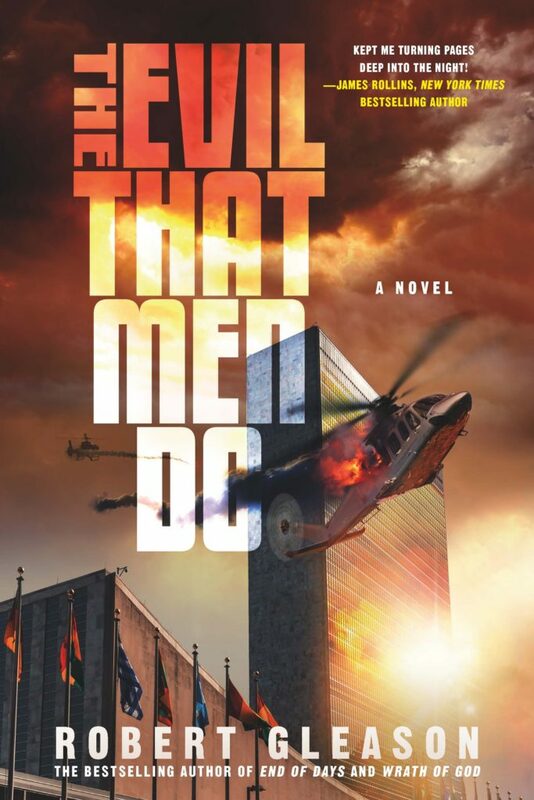 As bold a book as you'll find this year, The Evil That Men Do combines a thrilling, right-in-the-moment epic with a profound grasp of global issues. 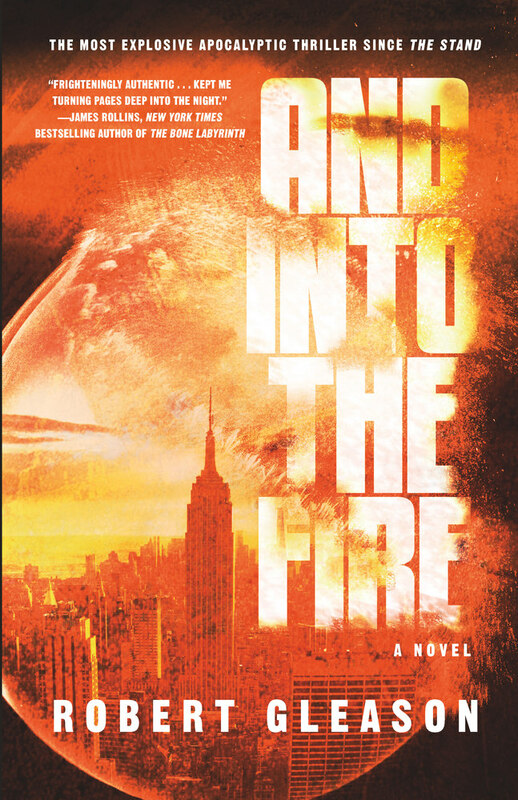 Gleason writes with tremendous energy and flair, and the velocity of the plot, combined with devilish characterizations and insider savvy, competes easily with the most vivid headlines of our time. A lion's roar of a book that recalls the great adventure novels of the past--while remaining powerfully contemporary. Well done!" “As always, Gleason stays ahead of the pack, firing on all cylinders, with a take-no-prisoners-attitude. This one isn’t inspired by the headlines, IT IS THE HEADLINES." 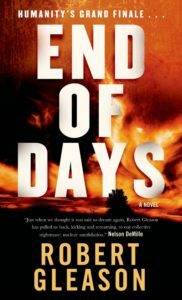 "Gleason’s work has made him an expert on all things apocalyptic, a subject he returns to with gusto in this wildly expansive tale of the Coming End Times . . . A thrilling take on a frighteningly possible future, one that makes the journey in Cormac McCarthy’s THE ROAD look like a stroll through the park." Passionate readers need not fear Philip Roth's lament that fiction is dead, since the writer's imagination is outstripped each night by the evening news. Gleason has conjured up a post-nuclear holocaust Islamic horde that has conquered Europe and Asia and is pushing inexorably through the American West. Only a rawhide-tough, old woman, and her unlikely allies--George S. Patton, Stonewall Jackson, Amelia Earhart, and an adolescent triceratops--stand in the way of the triumph of utter barbarism. Equal parts fantasy, historical fiction, SF, western, and morality play, this novel is sprawling, epic, cinematic, and a ripping good adventure yarn. If Gleason has forgotten anything about fashioning a book that will get widely read, the reader won't discover what it might be. All public libraries will want to put in an order.